At OS CLiCKS, we consider "Client Satisfaction" as the most important parameter in evaluating our success rate of a certain time range. Our mission is to exist in the business making sure that our valued clients are satisfied with our performance. Below is a partial list of projects successfully done by OS CLiCKS. Due to some limitations and confidential issues, we can not publish all of our works here. But we can show a demo upon request. JobLance.inFo is a free web service for people looking for freelance jobs & projects online. JobLance.inFo aggregates latest online job information from all popular and possible sources. Job seekers can find latest online jobs of every categories here. 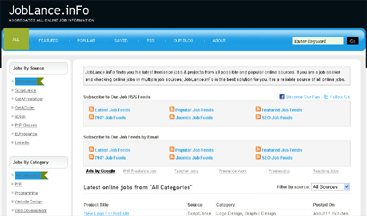 JobLance.inFO updates itself in every hour with latest jobs and projects posted in the popular job sources. OS CLiCKS designed the site and developed all the features and now working to optimize the site in the web search engines. Also working to release some new features to make the site unique in its kind. The site started getting 500+ hits everyday from the first day of its release. Baby Alexandra is a boutique in Palm Beach Gardens, FL which provides a unique selection of high-quality and exclusive furniture, custom bedding, decor, gear, clothing, gifts, toys and books for infants and children. 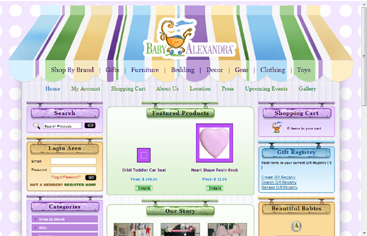 BabyAlexanda.com is a full-featured baby product selling framework for their business. OS CLiCKS developed the whole shopping cart, dynamic product listing in categories, user account & address management, shipping calculation, order checkout & processing as well as a very strong administration panel for their product & order management. The Dubai Media Incorporated (DMI) portal collects and publishes various data in its multiple media channels (press, radio and TV). Here we scraped media contents from other sources, saved in their database and displayed on the frontend pages. It also has an admin panel to manage all media sources & contents. Jobs aggregator using jobs from popular sources like Microsoft, Google, Yahoo, Apple, eBay, etc. Kama Sutra Jobs finds the latest vacancies at the top companies in Sydney and lists them all in one convenient location. 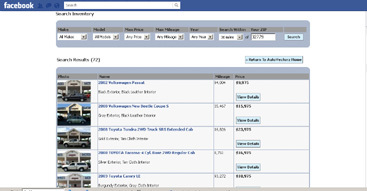 This project is a cars search engine application developed for Facebook whose backend has a strong scraping engine that scrapes & aggregates cars information from a several car websites. You can search & filter results, view details and inquire for more details without leaving Facebook. Besides, it has a custom admin panel to manage all scraped data. Services Provided by OS CLiCKS: The design, development, hosting, search engine optimization, testing & quality assurance. 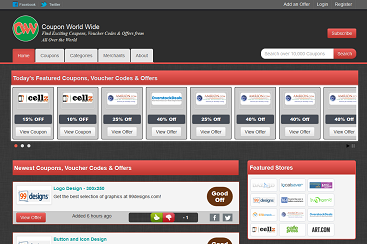 Coupon World Wide (CWW) is an aggregator project that finds you the best and validated coupon & voucher codes from all over the internet world. Having a growing number of merchant stores integrated, CWW target to be the best in displaying verified coupon & voucher codes. Before the launching the website, their founders experienced many real life problems about coupons & voucher codes. So this website is definitely bearing a lot more than just the coupon codes. 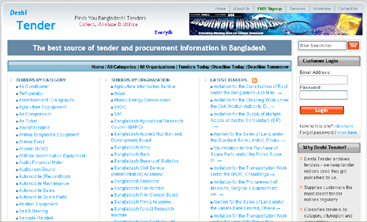 Deshi Tender is a Bangladesh based web service for tender and procurement information. Deshi Tender is up-to-date with latest tender and procurement information published in national dailies, known websites and sometimes directly from companies. They collect, store and notify our customers the tender information in the best way. Their everyday goal is to reach you with the latest tender information while you are relaxing with your stuffs. Deshi Tender classifies its information by category, organization and region (division, city, etc.) so that customers can find their desired information very easily. With their tender classification, customers know which tenders are most recents, which tenders are most viewed/popular, which tenders are with deadline today or which tenders have deadline tomorrow. Services Provided by OS CLiCKS: The development, testing & quality assurance. 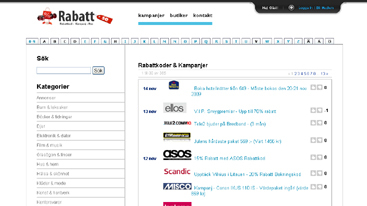 Rabatt.se - a Sweden based web service - collects discount codes, promotional codes, deals and special sales from nearly 400 different companies. OS Clicks developed the entire coupon module, multiple level member module, language module and SEO structure for the entire site. Rabatt.se natural search traffic has grown 400% since implementation of a clean URL structure and on page SEO. The site is designed for scalability, usability and continues to grow as a constant rate. Services Provided by OS CLiCKS: The design, development, search engine optimization, testing & quality assurance. 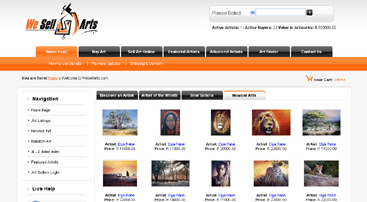 We Sell Arts is an artwork web service for artists and art buyers. Artists can sell their artwork online using either a free or pay membership with a low commission rate on sales compared to other online South African and International galleries. Art Buyers can purchase quality artwork and save artworks to their wish list. They can send links to friends, post comments and rate the artist's artwork. Art buyers can give feed back on purchases made which is displayed on the artist's profile. We Sell Arts aims to be a simple and an efficient selling and buying tool for art sellers and art buyers. Services Provided by OS CLiCKS: The design, development, testing & quality assurance. 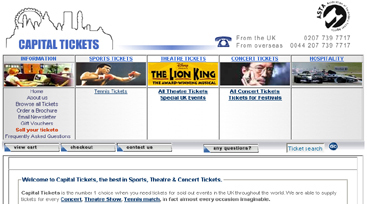 This is an online ticket selling service for all your Sports and Concerts Tickets, Theatre and Hospitality Tickets including Football, Rugby and Horse Racing Tickets for sale. 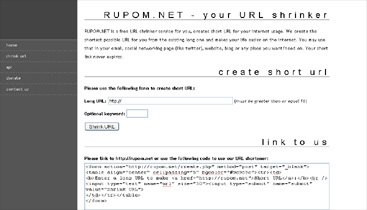 RUPOM.NET is a free URL shrinker service for you, creates short URL for your internet usage. We create the shortest possible URL for you from the existing long one and makes your life easier on the internet. You may use that in your email, social networking page (like twitter), website, blog or any place you want/need on. Your short link never expires. MY RUET is the community website for the ex and current students of Rajshahi University of Engineering and Technology (RUET) - one of the leading engineering universities in Bangladesh. Services Provided by OS CLiCKS: The development, e-commerce, search engine optimization, testing & quality assurance. 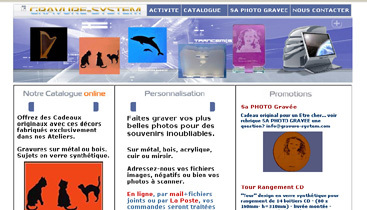 It is a French based online store for selling gifts, greeting cards, etc. Services Provided by OS CLiCKS: The design, development, e-commerce, iDev Affiliate setup with PayPal synchronization, search engine optimization, testing & quality assurance. Naturalfooted is the global leader in first aid products for surfers dedicated to equipping traveling surfers all over the world with the most specialised and quality first aid products available. 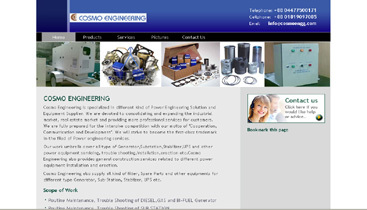 Cosmo Engineering is specialized in different kind of Power Engineering Solution and Equipment Supplier. They are devoted to consolidating and expanding the industrial market, real estate market and providing more professional services for customers. They are fully prepared for the intensive competition with our motto of "Cooperation, Communication and Development". They will strive to become the first-class trademark in the filed of Power engineering services. This project is used to aggregate multiple twitter accounts' tweets into a facebook fan page. 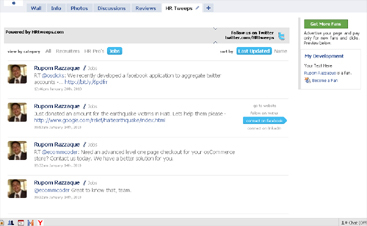 The tweeter accounts are placed into some predefined categories to display tweets in separate tabs of the application. Each tweet has the user information attached along with some social links of the respective user. It has a strong backend that facilitates the management of tweeter accounts, categories and their associations. It is a room mate finding service in the United Kingdom. 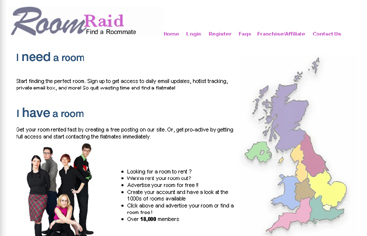 People join this website, tell about their spare rooms and find their room mates. Also, registered people get email updates on the room services. 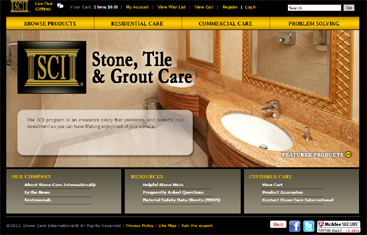 Stone Care International (SCI) is a shopping cart for selling products related to stones & their cleaning/caring, etc. OS CLiCKS developed the whole shopping cart, dynamic product listing in categories, user account & address management, shipping calculation, order checkout & processing as well as a product & order management administration panel. Copyright © 2008, OS CLiCKS. All rights reserved.